Low-carb dieting is making a comeback. Part of the reason is the rising popularity of the Paleo Diet. Another reason is because it’s simple and effective; it just works. However, not everyone agrees that Dr. Atkins’ revolutionary advice is safe. Indeed, some people who go off the diet, then hop back on it again, don’t see the same results they did the first time around. 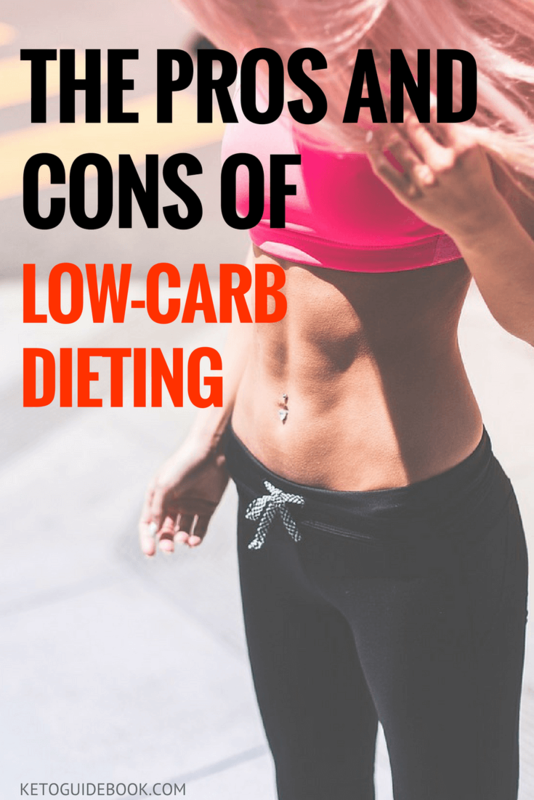 Regardless of whether you’re thinking about trying it for the first time, or whether this is round 2 (or 3) for you, here are some of the pros and cons of low-carb dieting you should know about. One of the biggest benefits to a low-carb diet is the reduction in inflammation. A diet that’s rich in carbohydrates makes it more likely you’ll experience inflammatory symptoms like swelling and pain. People who switch to a low-carb diet often report a “miraculous” recovery and decrease in these symptoms. It’s because high-carb diets cause insulin spikes. Insulin is a hormone responsible for weight gain and some increase in C-reactive protein (the primary marker for inflammation). Another benefit is better overall health. People on a low-carb diet often report better overall health. They feel better, their doctor tells them their blood sugar levels are normal, and they stop gaining weight. Because insulin is what regulates blood sugar, and it’s stimulated by excessive carbohydrate intake, it’s no surprise that a high-carb diet would cause insulin problems. These problems create other problems, like high HbA1c levels (a marker of aging), high blood pressure, high cholesterol and triglycerides, and an increased risk of developing type 2 diabetes. Uncontrolled or sporadic insulin levels can also increase you risk of coronary heart disease and even cancer. Finally, most people who adopt a low-carb diet report feeling more energetic. This is because the body starts burning fat for fuel and produces ketones. When you eat carbohydrates, you’re giving your body a “shot” of energy that quickly dies down. That’s the “sugar crash” of high-carb diets. Ketone bodies provide more stable energy levels. So, even if you technically don’t have more calories coming in, you have a more stable source of energy, which makes you feel more energetic throughout the day. While there are many benefits of adopting a low-carb lifestyle, there are also some drawbacks. First of all, many people find it difficult to stick to this diet because they’re used to having so much sugar. When you take it away, and replace it with more bland foods or foods that aren’t as sweet, the psychological battle can be too much. You need to make it fit your lifestyle, too. If you go out to eat, for example, it’s common for restaurants to serve carbohydrates as a side or as part of the main meal. This is because carbs, like bread, are cheap and filling. You’ll have to learn to say “no” to these kinds of things, re-learn how to cook your favorite dishes to lower the carb count, and avoid eating tasteless and bland food so you stick with it. Eating a more varied diet is also hard for some people. You need to increase your intake of fruits and veggies to include more fiber. A varied diet will also help prevent nutritional deficiencies. Finally, you will need to take extra caution when adopting this diet when it comes to fat and protein levels. Most people overdo it on the protein. Make a conscious effort to increase your fat intake and keep protein at no more than 30% of your daily calories. Low-carb dieting isn’t for everyone. Even for those that find success with it, it can be a long, hard, battle. In the end, you have to decide what’s best for you because the best diet is one you can stick to over the long-term.